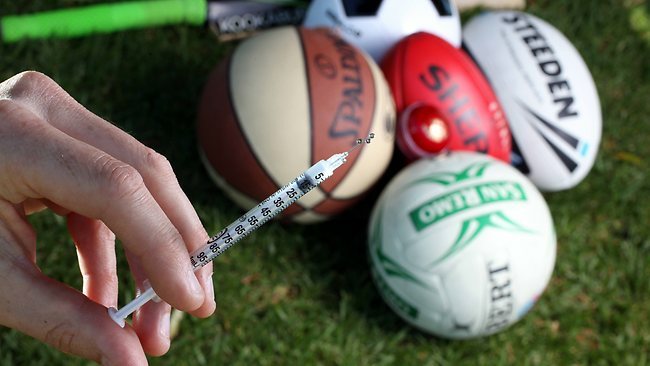 God Meets Ball: PED's for Christians? "Winning isn't everything. It's the only thing." Apparently Alex Rodriguez, Ryan Braun, Nelson Cruz and others took this advice to heart. (Read the full story HERE.) They risked their careers to obtain an unfair advantage over other players and gave in to the allure of performance enhancing drugs. (PED's) The drive to be the greatest, to achieve the most, and to go down in history was so strong that they risked what have already been outstanding careers in an attempt to ensure they reach the top of the baseball mountain. I've written about PED's before, so this time I just want to ask a very simple question. Is your relationship with God as important to you as success on the field is to these baseball players? What would you risk in an effort to ensure your salvation? How far would you go seeking restoration with your eternal Father? How important is winning life to you? Jesus went "all in" for us. That's how important we are to Him. The question is, "How do we reciprocate?" Do we struggle to get out of bed on time each Sunday? Do we linger as the collection plate is passed deciding whether to put in a $5 or a $10? Do spend hours on our fantasy football teams, or Monday Night Football but not have any time for prayer? Can we recite stats all day, but not remember any Scripture verses? It's all about what's important to us. We admire the single-minded focus sports stars have in pursuing their goals. The example of Jesus challenges us to have the same focus on the mission he's given us. What will be God's summary of your career?